I design and weave fine textiles for personal wear and the home, using exclusively natural fibers. 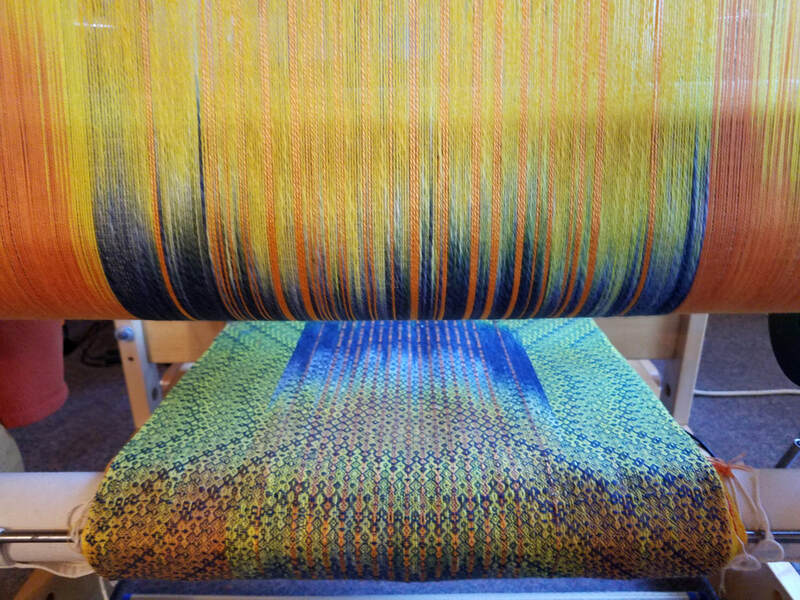 My signature work is composed of multi-colored hand-dyed yarns and complex patterning, resulting in shimmering complex cloth. I weave on two high-tech computer-assisted looms. In Freeland, turn off Hwy 525 at Freeland Av (Island Athletic Club on the corner). Look for the 6th house on the rt. Park around the corner on Joanne Dr.